The Twigs From the Tree of Life group will meet at Christ the King Lutheran Church (17195 Cleveland Rd., South Bend IN 46637) on Tuesday, January 28 at 7 pm. They will discuss vital records (birth, marriage, death and divorce) - where to find them, and the information they contain that can help you in your genealogy research. The meeting is free and open to the public. For more information, please contact instructor Robin Phillips (gen46514@gmail.com). The South Bend Area Genealogical Society will meet at the Sunnyside Presbyterian Church (115 S. Francis, South Bend IN 46617) on Monday, January 27 at 7 pm. Ron DeWinter will present a program about the history of the Studebaker Corporation. The meeting is free and open to the public - for more information, contact Bill Minish (whminish@aol.com). Josh Taylor will speak at the Central branch of the Indianapolis-Marion County Public Library on Saturday, January 5 at 2 pm. The program, "Find The Truth Within Your Family Legends," will be held in the library's Clowes Auditorium. Josh Taylor is host of "Genealogy Roadshow" on PBS, appears on TLC's "Who Do You Think You Are" and is the lead genealogist for Findmypast.com. This program is free and open to the public - for more information, please contact the library at (317) 275-4100. The Mishawaka Public Library in St. Joseph County will hold a genealogy roundtable on Thursday, January 23 at 6:30 pm. Beginners and experienced researchers are welcome - come chat about your family history and research. For more information, contact Deanna Juday (d.juday@mphpl.org). My father was born February 26, 1918, to Roy E. and Ada Rumbaugh Davis in Michigan City, Indiana. His mother died of Sepsis on March 11, 1918. His original birth certificate #113-18-007977. His birth name was Roy Davis. He was adopted by Glen and Grace Pillman; birth certificate#113-18-218795 and renamed Walter Ernest Pillman. I am looking for a copy of release for adoption signed by his birth father on March 28, 1918, as referenced in a LaPorte Superior Court document, Cause #3296, Civil order book 12, page515. Any assistance in this long search would be greatly appreciated. The Goshen Public Library in Elkhart County will host a meeting of the Genealogy Special Interest Group (GENSIG) on Saturday, January 11 at 10 am. Anita Rogers will present a program on the uses of the Find A Grave website. For more information, please contact young.snodgrass@frontier.com. 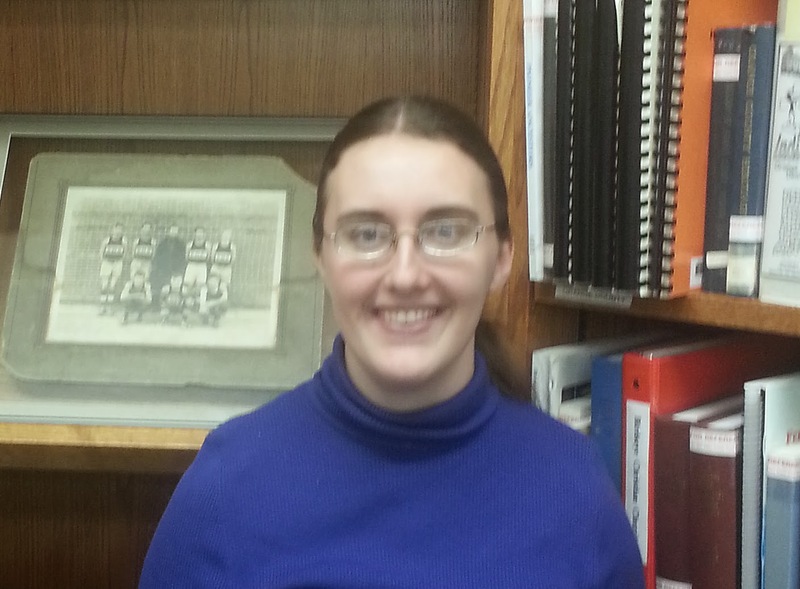 The Indiana Genealogical Society and its members are pleased to introduce our new Crawford County Genealogist Anne Hager of English, Indiana. Anne is currently the Genealogist at the Crawford County Public Library in English. She teaches Genealogy Classes at the Library and has been answering genealogical queries that come in. Anne has a Bachelor’s degree in History. You can address Crawford County questions to Anne at Ahager947@gmail.com. The Hamilton East Public Library in Noblesville will hold a genealogy roundtable on Tuesday, January 14 from 2:15 to 3:15 pm in the library's genealogy classroom. Participants will review their genealogy goals from 2013 and are invited to bring their genealogy goals for 2014 in a sealed envelope, to be opened in January 2015. This is an informal discussion group - no registration is required. I am searching for information on the Martin D. Puckett Family. He was born in Ohio on 02.26.1826 and died in Starke County, IN 05.11.1907, buried in Hepner Cemetery, Starke County, IN, first wife was Mary Ann Bell. He served in the Civil War, 151st Indiana Regiment, Company A (Volunteers), Rank 1st Lt. He had (I believe) at least 5 children: Antrim S. Puckett; Granville G. Puckett born 1886; James Clifford Puckett (Cliff) Born July 1885; Elizabeth Puckett and Harry Puckett. Some of the children lived at the Indiana Sailors and Soldiers Home at the turn of the century. James Clifford Puckett married Emma Koerner in 1909 in Cullom, IL. Any info on his children, especially James Clifford Puckett would be greatly appreciated.